I took particular note of the Zetas decription of the tsunami effects in Europe on the back of the adjustment expected in the New Madrid fault which is one of the possible 'shocking' events predicted to happen before the end of the year. This is due to the fact that I live in the UK and, before that Zetatalk, I must admit the possible events described that would take us to a 7 out of 10 seemed rather abstract as until now, none of them were going to affect the UK directly. (so it seemed) Although it's still only one of the possible events that will happen before the end of the year, I actually find the thought of it more scary than the pole shift itself due to the uncertainty factor. The Zetas have described the precursors to the shift in great detail and have said that the pole shift will not take anyone by surprise but what about the first 7/10 event. The Americas, Mediterranean, India, Australia, etc are all earmarked as being a possible 7/10 event but what warning will there be for the first one? That is my question. Once the first one has occurred, the events that haven't happened will be on full standby for their event to happen so will have their warning in the form of the first event - if you understand my meaning. Will there be much warning that this 7/10 event is going to happen? I'm not looking for a timescale so don't think that's what I'm after - my point is as stated - we will know when the poleshift is going to happen as the last weeks have been endlessly described in detail by the Zetas but since, at least for the UK, the 7/10 event could be described as a mini pole shift due to its effects, will there be any warning that this will happen. I worry that there won't be as there were no precursors to the 2004 Asian tsunami and God help those in Ireland and the SW of England if they get hit with the described 200-300ft tsunami without warning. Could the Zetas comment on these cropcircles if they have any new message? This set of crop circles is presenting, to mankind, an obvious scenario of clashes, planetary clashes. Look at them visually, as Nancy had laid them out in a line, and what do you see? Fano looks like something thrown to one side, Ancona looks like a dither or vibration, Belgium looks like vibration, and Walmont a bomb with a short fuse. Only Andrea looks stable, as it is a simple reminder of the trimesters, our warning on when the last weeks will occur. We have repeatedly explained how Planet X and the Earth are in a dither with each other, complicated by the presence of Venus and the Dark Twin in the cup. That's what you're seeing here. They dither, bounce off one another's magnetic fields, ricochet around, and do this so often it looks and behaves like a type of vibration. On the previous ZT you advised someone to be at least 100 miles away from volcanoes, and on ZT website it says all volcanoes will have activity. I'm struggling to find a place far enough from volcanoes, the place I was looking at was above the clump in the photo below in Victoria by 60-90miles. I live in Australia, Victoria, so would prefer to relocate there, but are there any safe spots from volcanic threat in Victoria/how severe will it be? Will the winds be pushing the ash down across the eastern coast of Australia? So if in Victoria, the ash from volcanoes would be pushed down towards the sea? This is what I gathered from some of the ZT info (deserts/ash animation), but I'm unsure. [and from another] http://en.wikipedia.org/wiki/List_of_volcanoes_in_Australia This is a list of active, dormant and extinct volcanoes in Australia and its island territories. There are no historically active volcanoes on the mainland. After the pole shift, Australia will be turned 90° so that the winds curling off the new Equator will push the ash from your new west, which is currently your present north. So you are correct that any volcanoes erupting in Victoria will ash out into the sea and any erupting along the current east coast of Australia would be likely to ash over Victoria. However, you should not be worried, as you do not have any volcanoes active within the last 10,000 years in this vicinity. New Zealand has them because it is on an active fault line, but Australia does not. Planet X has a contorted path coming to its current position - a creep past the Sun and thence outbound. In the view from Earth on the website Nancy maintains, it first moves left, then up, then left some more, then right, then down. All this only for the years 1983, when Planet X was first sighted inbound by the IRAS team run by JPL, to 2003 when it arrived to creep past the Sun. If you consider this path from an overhead, rather than head on as Nancy's diagram shows, then you see this contorted path, exactly. When Planet X stopped the Earth in its orbit in December, 2003, Venus was likewise halted and trapped in the cup, and this is what you see with the two small orbs inside a circle. By June, 2004 the Dark Twin had arrived, coming up behind Earth in their shared orbit, so there were 3 planets in the cup in front of Planet X. In July, 2004 Planet X was close enough to the Earth, having the Earth in its grip and squeezing these 3 planets before it in the cup, that a change in the regular reaction of the Earth to the Sun's sweeping arms was noted by Nancy. As stated "A pattern of 11-11-8-8-8 days between Sweep Sets with a One/Two/Three jolts in each set was noted from April through June but by mid-July the sweep pattern changed to include a Four/Five, the almost continuous activity predicted by the Zetas, so it became difficult to discern the sweep sets." At this point, in the crop circle, Planet X is near the Sun, creeping past the Sun, and time stands still for this crop circle, awaiting the time of the outbound passage. But there is a mirroring of activity on the outbound phase. For the year following the passage, the planets that had been caught in the cup right themselves and find their old orbits and place, while Planet X disappears from view. One more new interesting cropcircle at Poirino (Torino), Italy (reported 13th June). http://www.cropcircleconnector.com/inter2010/italy/Poirino2010a.html What the Zetas can tell about it? 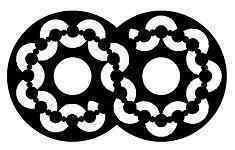 Each of 6 circles has notches. What they mean? I assume that they can mean seismic/volcanic activity or movement of plates in a certain month as in the Pie CC. Poirino is reiterating the orbit lock concept, as a backdrop, so the focus shifts to what is different. Those unaware of the presence of Planet X, but nonetheless aware that the Earth seems to be in a period of intensifying earthquakes, irregular weather, and a rash of sinkholes, are perturbed. They are on the one hand being told that all is normal. But they sense this is not so, and are subconsciously reaching out for answers. 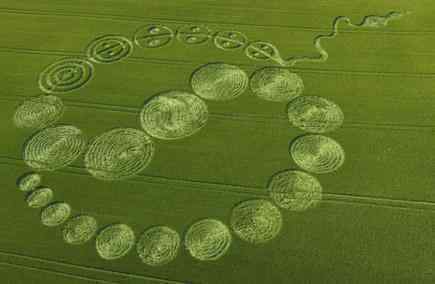 This crop circle is simply telling them that their sense that matters are not normal is correct. To what extent will the islands on the tongue suffer during the plate movements described? Sumatra and Java of course ride at the edge of the plate, and are land masses rather than seabed because of the subduction pressure. Rock has been scrapped off the tongue as it subducted, creating mountains from this jumble. Sumatra and Java are not, thus what is assumed to be solid rock but is a clutter, a jumble, and can thus easily shift under sufficient pressure. The Malaysia peninsula is lowland, and any reduction in sea level is devastating. 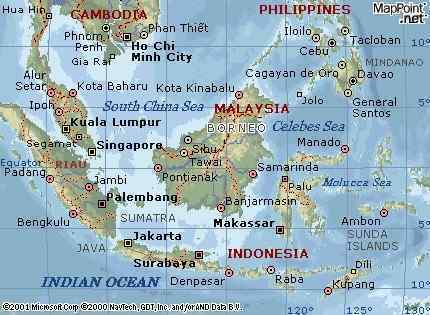 Singapore thus shares in a dual tragedy, situated between a crumbling Sumatra and a sinking Malaysia. Sumatra and Java will not sink entirely, as they have high ground, high mountains. Borneo likewise has high ground, and this will survive even the scouring of the water wash from the Pacific during the hour of the pole shift. 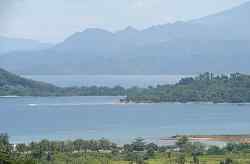 But during the plate movement that will push some islands in Indonesia down, many small islands, and the coastlines of larger islands, will experience a loss of sea level, suddenly. In that Singapore is situated on lowland, it too will becomes suddenly flooded. I recently watched the movie "The Road". It's a post-apoplectic movie about a father and his son desperately trying to reach the coast, while trying to avoid a gang of cannibals. This movie made me realize how swift justice must be delivered to those threatening the good-hearted people. Will the gangs in the after-time resort to cannibalism? I know once they run out of resources they will quickly turn on each other like a pack of dogs. Certainly The Road presents scenarios that are a possibility after the pole shift, but except for a lone couple caring for their children, and other orphans, shows little of the overall trend that will be present. The deeply Service-to-Self constitute only about 5-6% of humanity, compared to the strongly Service-to-Other which are at present 31% of humanity. The Road showed only the specter of a father and son caught deep inside a region inhabited by the Service-to-Self, solely. The reality is that even in areas where gangs roam or gated communities show the attitude of the haves vs the have-nots, such a preponderance will not exist. The undecided will reluctantly participate in canabalism, and then likely only to eat a dead body and then with regrets. To chase down living humans for lunch, or to target them, would only occur among hardened Service-to-Self gangs on the rove, and these themselves would be targets, shot on sight, of survivors. Now that the BP well is gushing upwards of 2 million gallons per day (the last estimation I've heard), is the release of pressure within the strata going to decrease the tension in the bow enough to cause New Madrid to shift sooner than expected? Also, how much of the country will be without power and for how long? I am mainly concerned with the desert southwest where temps are already reaching close to 110°F. Yes, I live in Phoenix, AZ and would like to encourage others reading this to start now to begin discovering one another openly and pool resources and ideas about how to provide airconditioned/swamp-cooled locations run on generators to accommodate large numbers of people. There are 4 million people living in the middle of the desert here. I know there will be others worse off in other locations, but I trust folks in those areas to start doing what you can now just as we are here. We know what's coming. It's time for many of us to stop reading ZT like a weekly column and start actively joining minds and man-power. The pressure, or lack of pressure, in the Gulf will not affect the New Madrid fault line one way or the other. The loss of the grid, whether temporary in the time before or permanent during and after the pole shift, will have an extreme effect on those accustomed to electronic conveniences and the comfort that heating and air conditioning can provide. This, in any case, is where the matter is heading, so to wring hands about the state of affairs in the time prior to the pole shift is not looking at the long-term outcome. If people in the American SW are going to suffer this summer from the summer heat, how will they hold up after the pole shift? What kind of logic is this, to concern yourself with the short term, and not the long term? Arizona will be closer to the Equator after the pole shift! There are many parts of the world which will suffer immediate and unexpected effects from the pole shift. The Bulge of Brazil, suddenly plunged into polar weather. Even Tibet, which is used to cold, will find itself dying due to polar cold. Extreme heat is dealt with in the Equatorial regions and in the desert regions where the native people have learned to adapt. You are not talking about killer temps, you are talking about comfort in your complaint about the potential lack of air conditioning for Arizona. To adapt without air conditioning, leave your homes, go where there is a breeze, drink lots of fluids, stay out of the Sun, do not exert yourself, and work only at night. This is not what the spoiled populace wants. They want to drive about in the Sun, live in their homes, and resent restrictions. Where the populace is not genetically or culturally adapted to extremes of cold or heat, there will be deaths, but this can be expected in any case for the aged or infirm during the pole shift. This should be about being aware of what is coming, finding your target climate, moving if necessary, and preparing to feed yourself. Not about temporary comfort. What was the purpose of the Japanese Hayabusa asteroid sample capsule? Will it reveal anything regarding Nibiru? [and from another] Japanese Hayabusa Asteroid Mission Comes Home [Jun 13] http://www.globenews24.com/EN/news,asteroid-mission-set-for-re-entry3 A capsule thought to contain the first samples grabbed from the surface of an asteroid has returned to Earth. 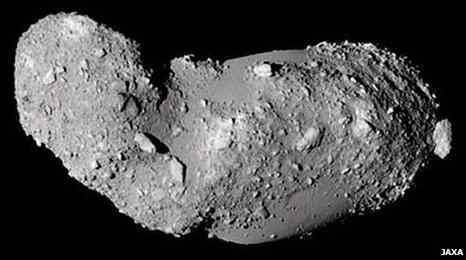 The Hayabusa mission was launched to asteroid Itokawa in 2003, spending three months at the 500m-long potato-shaped space rock in 2005. The main spacecraft, along with the sample-storage capsule, should have come back to Earth in 2007, but a succession of technical problems delayed their return by three years. The 500m-long Itokawa has many boulders covering its surface. 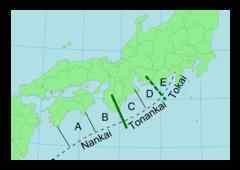 Observations revealed Itokawa's density to be extremely low. Scientists say it is a pile of rubble that was produced in a collision. 2003, the year of the infamous ZetaTalk prediction, was hardly the year when probes were sent aloft to casually snip asteroids so that the formation of the Universe could be better understood. All probes sent aloft at that time, and since, have been focused directly at gathering information about the Planet X complex - its trajectory, its composition, and the behavior of its vast tail. However, the cover-up is alive and well, and these missions must have an excuse to present to the public. Thus, Hayabusa landed and took a sample, which will be made much of upon return. But this was not its true mission. Based on my reading on the upcoming changes in the Lawrence Seaway, I wanted to ask if the Lake Champlain area in Vermont will be part of the these changes . I read on Zeta Talk that Vermont is expected to rise up, however I wonder if the changes will have opposite effect on the Lake Champlain area itself, since it is a large body of water. 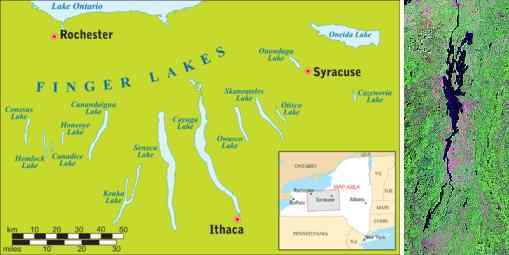 Will areas currently located in elevation under 400 ft. be pulled down with the possible sinking of Lake Champlain? [and from another] http://en.wikipedia.org/wiki/Lake_Champlain Lake Champlain is situated in the Lake Champlain Valley between the Green Mountains of Vermont and the Adirondack Mountains of New York, drained northward by the 106 miles (171 km) long Richelieu River into the St. Lawrence River. As with the development of the Finger Lakes in New York State, Lake Champlain is evidence of the lift in this area as the Seaway splits open. You will not be inundated, though your lake and river draining it may widen. Due to the increase in the sinkholes here in Canada and China would part of the problem be due to a rise of the 'water tables' underneath the surface of the ground? Like many cities (Edmonton and Calgary included) in Alberta and elsewhere in Canada the buildings (cities) and residential areas are built in the river valleys and on flood plains. In talking to a person recently who does commercial realestate in Calgary, a few condo projects have been halted because of a miscalculation in the water table under the ground and the presence of sinkholes have halted the building process and now they are just empty land. One would think that this has been more common in the last few years in many more areas of the globe. Could an increase in the amount of rain (through a drought/deluge cycle that you have mentioned will more commonly occur as PX draws near) in any given time, contribute to the number of sinkholes arising in Canada and China? Sinkholes do not develop because the water table is rising. They develop in areas subject to rock layers being pulled in different directions, primarily in stretch zones or where a plate is bending. The large sinkhole near Toronto was clearly a stretch zone drop because the Seaway is being pulled apart. In China, the plate is being pulled down at the tongue housing Indonesia, so there is snapping rock where the plate is breaking and bending. This is likewise true for the large number of sinkholes in Pennsylvania, as the N American continent is being pulled down south of this point, but rising as the Seaway pulls apart north of this point. The bow in the N American continent is likewise pulling rock layers across each other, as the sinkhole in Tennessee shows. This point, as we explained, is directly in a line from San Diego across the continent, and includes the area of the Utah mining disaster a couple years ago. So what happens when sinkholes develop, and why are they so often perfectly round? When rock layers pull apart, lose soil around or between them will either become more compressed or have more freedom to move. If a cavern opens up, the soil will drop. Often subsequent movement just creates more compression of soil in some areas and a larger and larger cavern. This provides less support for any rock or soil above the cavern, and eventually, depending upon the pressure from above (such as a building or roadway) fragile and already fracturing rock layers above the cavern will break. It should be noted that the rock layer above the cavern has been involved in the pulling apart process, so is itself fracturing, thus weakened. The point where the cavern's ceiling starts to fracture is the center point, and by dropping or drooping, all points in a circle around that point have less and less support and likewise begin to drop or droop. This, the stunningly circular appearance of many of these sinkholes. Just a quick question, could a fire storm be sparked off by a powerful storm in the gulf due to the volume of oil that has spewed into the waters? Guess I am asking if rain drops can become flammable. During the hour of the pole shift, when the tail of Planet X is licking the Earth as Planet X is so very close to the Earth, there can be firestorms. We have reported that this will happen during the hour of the shift, or very close to that hour, but not at other times. Why is this? The petrochemical components found in the tail of Planet X are normally disbursed, but in that portion of the tail closer to Planet X itself, are prevalent enough that the heat from exploding volcanoes can create chemical chains that result in oil, and thus the oil begins to drop in the atmosphere. Firestorms, at this time, occur because lightning sets this newly formed oil ablaze, when there is sufficient oxygen in the atmosphere to support such a blaze. Often, the blanket of new oil will drop close to the ground before setting afire, as the oxygen is thin in the upper atmosphere. When not set ablaze, this oil will seep into cracks in the ground, as it has in the past and thus the oil pools discovered and tapped by man today. Will the oil and petrol fumes released into the air over the Gulf accumulate to the degree that such a firestorm might occur today? Not a chance. It is far too disbursed to do so. Several times in the past, right before I had fallen asleep, when I'm in the "in between stage" and that familiar stupor starts to overcome my brain, I've heard voices calling me by my first name. Once it was my deceased mother's voice, without a doubt. But I had also recognized voices from people that are alive, mainly from my family, and sometimes people that are dear to me, but not related. Sometimes it is my name followed by some garbled message that I don't understand, like the message gets truncated when I start coming back to my senses. Is this some sort of echo from beyond? An encounter that just happened and my subconscious is relating to me? A call to a meeting? A trick from my brain perhaps? We have mentioned that ghosts can communicate with humans by taking the appearance of the person they were. They do this not by changing the air, to effect a hologram, but by affecting the brain chemistry of the human they are attempting to communicate with. They activate parts of that brain that hold the chemical impression of what the ghost used to look like, when a human. If not someone the ghost knew, then the ghost will use similar pathways in the human where a visual image of a small child, or a thin blond woman, or a hunch-backed man might lie. The ghost moves into the brain of the human they wish to communicate with to do this, a type of temporary invasion of the incarnating space, and can do so only with the permission of the incarnating soul. Spirits do not have the power to do much in the physical world, but when incarnated, they can affect a great deal by influencing brain chemistry. Moving a truck or lifting a train off its track, for instance, is something they cannot do. We have mentioned that spirits can influence heat particles to the extent that a human feels the room go cold, when realizing a ghost is present. If spirits beyond your own soul are trying to communicate with you, this is often best done while you are in a sleep state. There, your brain is not occupied with all the matters that your day requires, and the spirit can get center stage. We know how liquefaction will occur on sediment along the Mississippi when the NM fault releases tension. 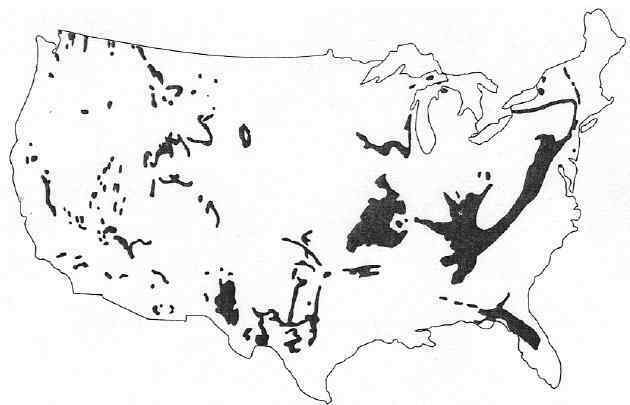 I cannot find anywhere though: how will the Karst topography along hillsides of the Appalachians behave during the New Madrid release? Many states have long strips of land over what seems now to be like dry sponge, and we've seen on the press recent sinkholes appear at I-24 near Chattanooga, downtown Atlanta; will this be the case for areas like this when the NM fault reacts to the current tension? Some of these areas are included in Safe Locations listing, but I have these nagging questions, sorry. [and from another] Karst Topography in the Appalachian Plateau http://fire.forestencyclopedia.net/p/p1568 Karst topography, which is characterized by limestone rocks and caves,is not widely distributed. However, near the escarpments of the Cumberland Plateau, evidence of solution of carbonates beneath clastic rocks becomes apparent. In a few places, deep sinkholes have formed with walls of clastic rock, apparently resulting from collapse of underlying voids formed by dissolving of the underlying carbonates. Even more common are cave entrances along the escarpments, owing to the cropping out of carbonate units. When the earth rotation begins to stop, will cars, radio, telephones, TV, etc. stop working? Or will this be gradual too? I'm thinking about means to escape and to get communication, because working responsibilities and studies prevent us from living anywhere else by the moment. Long before rotation stoppage the electronic communication devices that man has come to rely upon will cease to work. We have warned about this from the start of ZetaTalk, warning that satellites will be torn from the sky by the lashing of the charged tail and small debris in the tail. Communication difficulties are more than merely the lack of satellite support, however, it is electromagnetic static that will be the prime problem. Rock under pressure releases electromagnetic screech, which is in fact an earthquake predictor. Such screech creates static on the radio, and during the last weeks when the globe is pushed to and fro, there will be constant pressure on all rock layers, worldwide. Buried TV or DSL or phone lines may fare better, but the broken link phenomena will affect all, interrupting the service at key points. The severe wobble will interfere with satellite access, as satellites will increasingly not be where expected. Where the Internet is serviced by direct lines, not utilizing satellites as oversea communication frequently does, email will get through, but this will not be failsafe. Maintenance of equipment will falter when those responsible for maintenance are distracted and leave their posts. Thus, Internet servers will start going down and not be brought back up, and eventually the highly reliable Internet, which utilizes a web of routes so that if one route is blocked, another can be used, will fail too. Cars and buses and trains which do not rely upon computer parts for operation will of course continue to start up and run as long as fuel is available. Roadways and railways and bridges will be broken by the almost continuous earthquakes and stretch zone accidents expected during the last weeks, however. Are you planning to remain at school or your job throughout the last weeks, during the severe wobble, the 3 days of darkness, and the slowing rotation? Why? I have a question for the Zeta's. There seems to be something with a yellowish hue that is upwelling, and mixing with oil from the broken pipe in the Gulf. Many members feel that the yellowish hue are flames coming from the pipe. Could it be flames, or possibly some other type of chemical like sulfer mixing with the crude oil? There is much coming up from the very deep bore hole that is not oil. The distance to the sea floor is a minor part of the distance, as the distance through rock and mud is further. What did the drill plow through, on its way to the suspected oil pool? More than rock. Lose soil, various layers of soil, of various compositions because it has been laid down over eons, even over millions of years, and trapped between rock layers as the Earth's crust heaved and slid about during pole shifts. It is known that crude oil is corrosive to pipes, especially when under pressure, operating like a sand blaster in this case. The bore pipe has developed holes, and is sweeping various soil deposits along with the soil. If the person is object of influence of STS (advices from people or call to aliens), how I can help him? This is a difficult operation as any change, any sincere change, must come from the soul. Those in the Service-to-Self are adapt at acting like chameleons, assuming the garb and behavior of those around them so their true agenda and nature are not exposed. They are adapt liars, putting on the face of a concerned individual, empathetic, and offering help. All this is an act to allow them to mingle in society without calling attention to themselves. If they would act as they wish they would grab items from others, shove the sick and helpless aside violently, kick their victims in the teeth when they are on the ground just to ensure they don't follow and make a fuss, and commit any crime they please. On a power surge, where they feel they cannot be challenged, they are supreme bullies, barking orders and snarling at any underling who does not meet their expectations, and executing those who attempt to argue otherwise summarily, no trial. Most Service-to-Self do not show their true nature openly, and many go through their entire lives living quiety, as they do not feel they are in control sufficiently and fear being found out. A woman may bear and raise children only because her husband and her community expect this of her, yet be cold to her children and only tend to them when it is obvious they are bleeding or dirty or calling to their mother in some regard. She will coax gifts and help from her husband or others with all manner of ruse, claiming she is exhausted or weak from doing her duties. If one were to examine the record, she is ostensibly a good wife and mother! But if somehow given the opportunity to be on control of the community, her true nature would come out and utterly shock the community who thought they knew her. Should someone try to advise her, so that her Service-to-Self nature would change, they would find they are talking to the wind, ignored. Service-to-Self have seen the other path, and have rejected it. They have chosen, and only they can choose otherwise. New crop circle formation in Chirton Bottom, nr Urchfont, Wiltshire. Reported 16th June. http://www.cropcircleconnector.com/2010/chirtonbottom/chirtonbottom.html What this two connected rings means? It is something new! 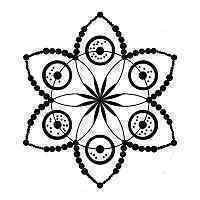 If you follow the chain as it goes round both centers, it will first go in a counterclockwise manner (a normal rotation for the Earth and your solar system) and then in a clockwise manner (the retrograde orbit and rotation of Planet X). They clash, yet they are chained together! How will the internet start to be affected by PX and is that the reason for the Lieberman/Collins bill being pushed called "Protecting Cyberspace as a National Asset Act of 2010" which gives DHS and the President control over the internet during a time of "risk"? As with the Executive Orders written during the Reagan era and recently by Bush 43, this bill has implications beyond protecting the homeland from attack. Any fool can see this. The Executive Orders that would allow a president to declare martial law on the flimsiest of excuses, basically on a whim, were in place so that the Bush/Cheney cabal could become a dictatorship. They would suspend elections, herd people into slave or internment camps, and use the US military to secure their hold on Middle East oil with no opposition. This did not work out for them, though the Executive Orders still stand, in the main. Even before Obama took office, there was talk of controlling the Internet in case of attack. What attack? Something outside of the attacks the FBI, Navy, or DOD have experienced, where teen age hackers take over their websites? This is not their worry. Those in Congress aware of the coming pole shift fear an outbreak of truth on the Internet, where some country breaks the cover-up, with proof, and this goes like a firestorm worldwide. Will this bill provide the assurance that Americans will not hear the truth if such a leak occurs? It will not get past the many civil liberty arguments to a vote, nor would it keep the leaks from finding their way into the American public's awareness even if in place. How do you stop water from flowing around pebbles? I was wondering if the Zeta's could comment on 'the Great Artesian Basin' http://www.environment.gov.au/water/locations/gab/index.html and how it will effect the remaining Australian continent after the PS, I imagine it will be effected by the slowing rotation and stoppage and then the new rotation like the equators ocean bulge will be effected. Will it create more water holes or drinkable water sources for survivors. I am in Florida which I understand is not only unsafe, it's potentially unsafe well before the shift itself; I am trying to plan our safe location not terribly far away so that the moment my husband is "on board" we can take off right away and get there fast. I imagine that will be before the end of this year, when things progress to a '7' (though with all the flood dreams I have had lately, I wonder whether we will make it past a 7 at all). Anyway, my question is this: As we will have an infant and a toddler by the time of the shift, climate will be especially important to us - i.e., not too cold for the babies. I've been unable to determine, despite searching, just how quickly the weather will become colder towards the new poles, which will greatly affect my decision on where to plan our long-term settlement. I don't want to inadvertently choose a spot that feels like New England in two years; however if it takes 10 years, that would be fine. Can you be more specific? Moving from Florida at a late date, to scramble into the Appalachian mountains nearby, will indeed put you in a climate that will feel more like New England within a year of the shift, as whenever the pole shift arrives the seasons will re-establish themselves quickly. The greater tilt of the Earth will likewise assure there is less Sun during winter, though a warmer summer, but the winter must be survived. In that you are prepared, mentally, for what to expect, you can plot your path to a warmer target climate. Most leaving Florida, with the waves at their heels, will not be doing so. I live in Jakarta, right in the city. It seems I and my husband have no chance to relocate to a safe place, as you know how it is in Indonesia (I trust my spirit guide in this, though). In fact, there is hardly a chance of surviving if we keep staying in any city. I'd just like to know if there is any part of the city where (or in what way) people have a better chance to survive. I feel like moving to the outskirt (although it's a dim chance of surviving, too), but I can't leave my immediate family (who take Planet X thing lightly even though I told them already in 2003). We have prepared for very basic survival as we cannot prepare much. I'm asking in this particular forum because I may not find the answer anywhere else. I had a dream early 2008 in which a male voice said that there would be a tsunami (don't know when) coming from a distance of 2,000 from the sea (not revealing any particular place). But he didn't tell whether it was a kilometer or mile or else. Do you have any clue about this? By the way, I often have dreams about tsunami, one of which was in Bali it seemed, with the wave being as high as the sky. In describing events that constitute 7 and 8 of 10 (Plate Movements), do words "radical reshaping [of N.American continent]" and "significant adjustment", applied to plate adjustments, mean that these are the result of ONE event or several, steps and stages, cummulative effect? [and from another] "But the primary drama preceding the pole shift will be the ripping action that a plate unable to move must endure. The notable area of catastrophe during this is the eastern half of the continental US. From Houston to Chicago to New England, the diagonal pull will tear the underpinning of cities and create a catastrophe for the US that will make the New Orleans disaster appear trivial." the above according to this link. ../index/zeta261.htm When the "pre-poleshift" portion of the rip occurs, is the bordering land of Canada held stationary, while eastern U.S moves south west? I didnt wanna make assumptions based on the description given in the link. Another question for the zetas. 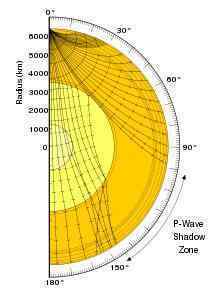 This one concerns the Theoretical P-wave that is in the USGS records for many of the earthquakes in different parts of the globe.. Why do certain areas like Alaska and the Caribbean islands not have P-waves and is there any real accuracy in the actual bullseye of the Theoretical P-waves that are given? With the big earthquakes in Indonesia, yesterday, the bullseye was the Caribbean and top of South America. Was the mining accident in Colombia the result? [and from another] http://www.eoearth.org/article/Earthquake Two different types of seismic waves have been described by geologists: body waves and surface waves. Body waves are seismic waves that travel through the lithosphere. Two kinds of body waves exist: P-waves and S-waves. Both of these waves produce a sharp jolt or shaking. P-waves or primary waves are formed by the alternate expansion and contraction of bedrock and cause the volume of the material they travel through to change. P-waves also have the ability to travel through solid, liquid, and gaseous materials. When some P-waves move from the ground to the lower atmosphere, the sound wave that is produced can sometimes be heard by humans and animals. S-waves or secondary waves are a second type of body wave. These waves are slower than P-waves and can only move through solid materials. S-waves are produced by shear stresses and move the materials they pass through in a perpendicular (up and down or side to side) direction. Surface waves travel at or near the Earth's surface. These waves produce a rolling or swaying motion causing the Earth's surface to behave like waves on the ocean. The velocity of these waves is slower than body waves. Despite their slow speed, these waves are particularly destructive to human construction because they cause considerable ground movement. P-waves of course are dependent upon many factors. For instance, does the a plate bounce so as to create a jolt that will travel through the gobe, or does it just ruffle the surface. Man feels most intently those quakes that are surface quakes, rolling pressure along the surface that those viewing this report, in horror, looks like waves on the ocean coming toward them. Relatively gentle horizontal surface waves will cause buildings to sway at different rates and crash into each other, bringing them down. But for the Earth, having a large plate like the Indo-Australian Plate pull up sharply at the Solomon Islands and push down sharply at India is affecting more than the surface, though the surface might be relatively unaware of the quake overall.